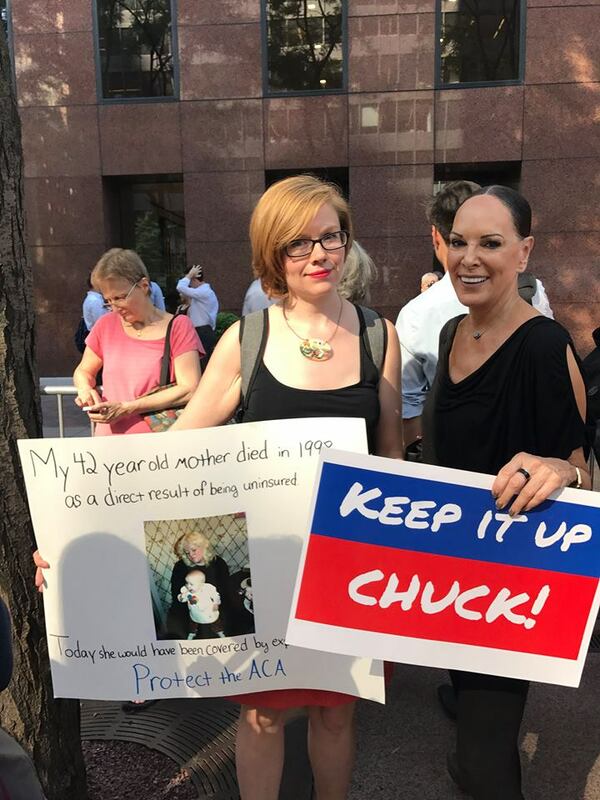 Twenty local Indivisible chapters, including Indivisible Upper East Side, will be meeting outside the offices of Senators Chuck Schumer and Kirsten Gillibrand for a rally of support for their efforts to kill the TrumpCare bill. Bring signs. If you have any personal healthcare story that you can share on a sign, those are very effective. See executive committee member Victoria's story here. A national day of protest. So far actions are planned in 37 states, plus Washington, D.C. Bring your signs, bang your pots and pans, and help us share the message that health care is a human right, not a privilege only for the wealthy. Doors open at 12:15 p.m., event starts at 1:00 p.m., and ends at 2:15 p.m. Senator Gillibrand will give brief remarks, then take your questions about everything from healthcare to jobs and the economy. Special guests are U.S. Representative Grace Meng and Queens Borough President Melinda Katz. An RSVP is required. Click here to sign up.